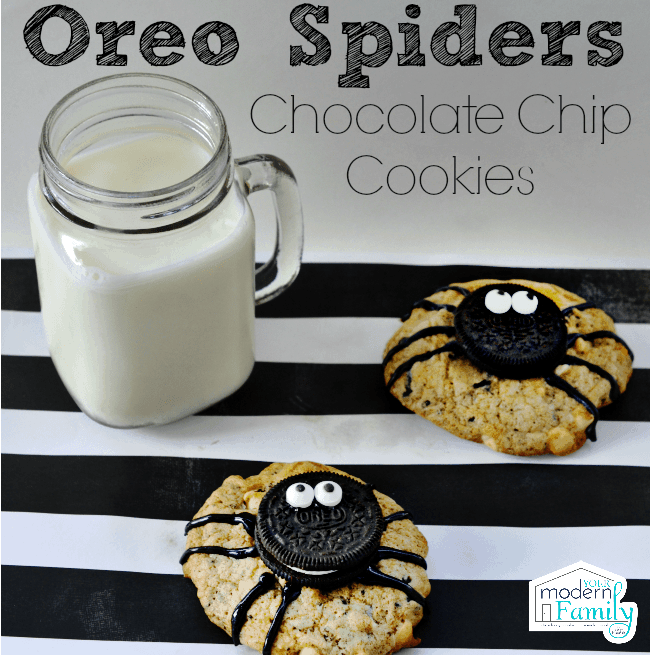 I wanted to share these fun Oreo spider chocolate chip cookies because they are so adorable, simple and fun for the kids! They will take you no time at all… the longest part is the chocolate chip cookie recipe. The decorating is a breeze and the end result is so cute! Preheat oven to 350 degrees. Line a baking sheet with parchment paper or use non-stick spray. We like giant cookies so we used a whoopie-pie pan. 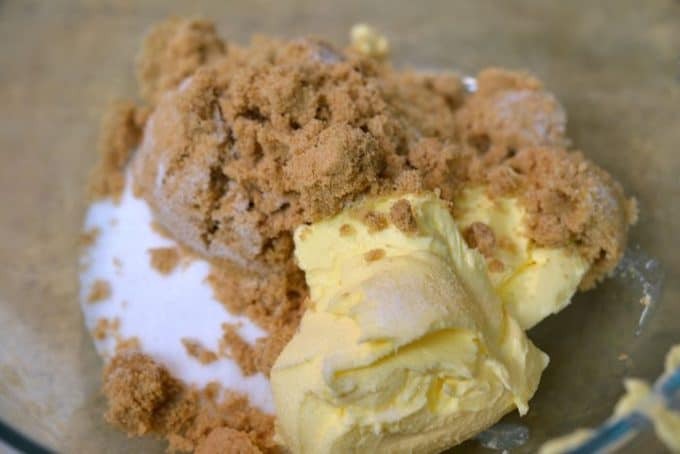 In a bowl, mix together butter, brown sugar, sugar, eggs, and vanilla. 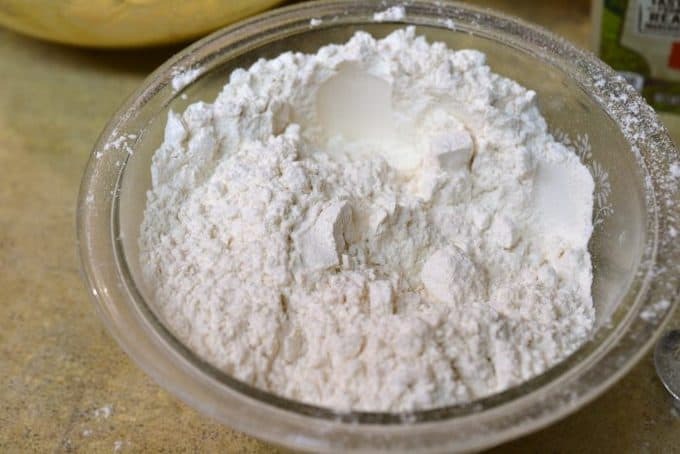 In a second bowl, mix flour, baking soda, baking powder and salt. 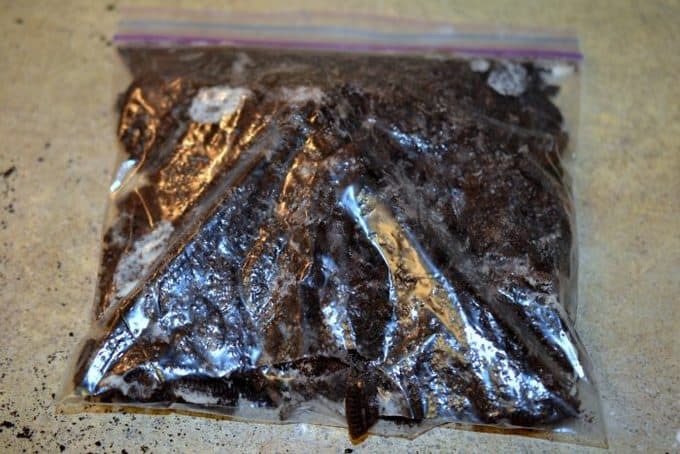 In a sandwich bag, crush the Oreos. 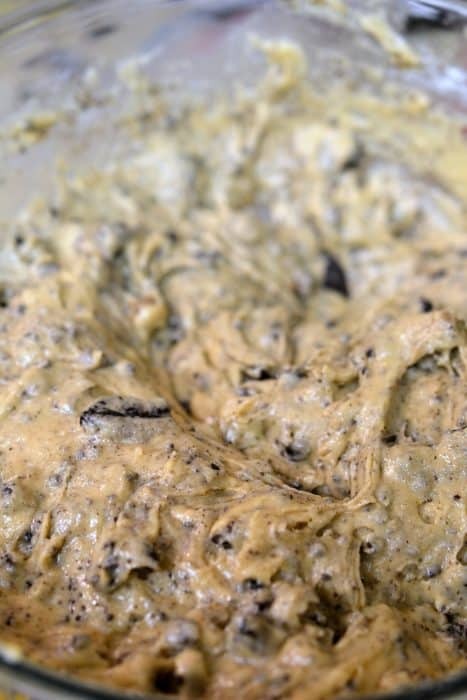 You don’t want them to be finely crushed, you want to have chunks of Oreo in your cookies! 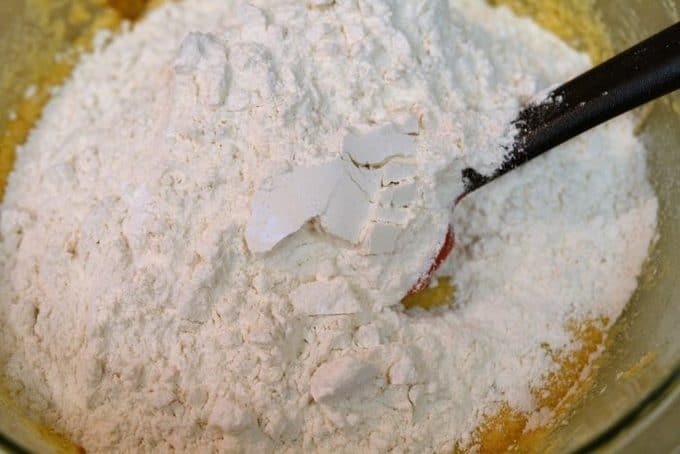 Add the Oreos and the white chocolate chips to the batter and mix well. 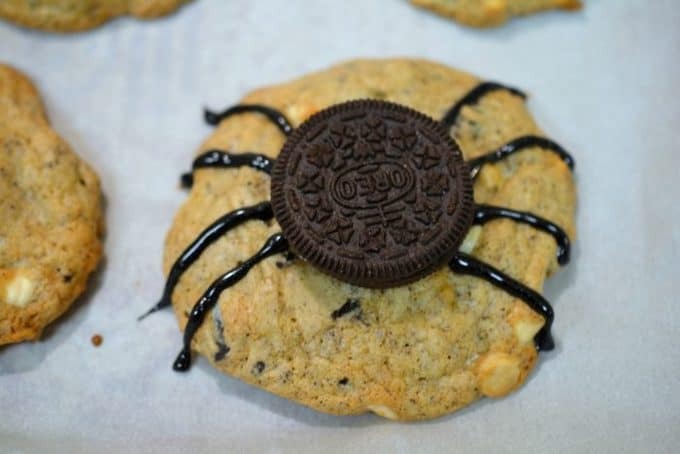 You will want the cookies to be large enough to hold an Oreo spider. We used a woopie-pie pan on one batch and the other we used a large ice cream scoop. 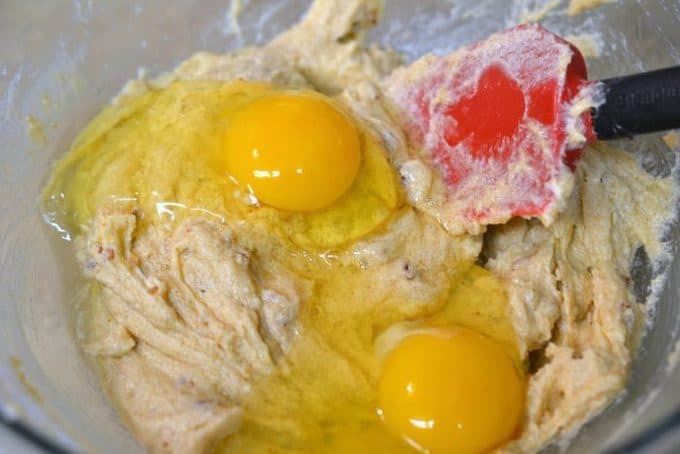 Bake for 8-10 minutes or until they just begin to brown. 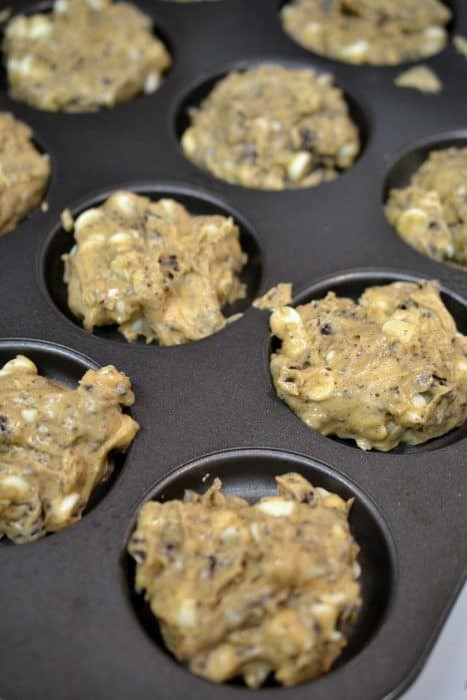 Let them cool completely on the cookie sheet. Once the cookies are cool, use the decorating gel to ‘glue’ on an Oreo to the center of each cookie. Add a dot of decorating gel to the back of each of the candy eyes and stick it into place. And 8 gel spider legs finish your cookie. Let the cookies sit and the decorating gel will harden. 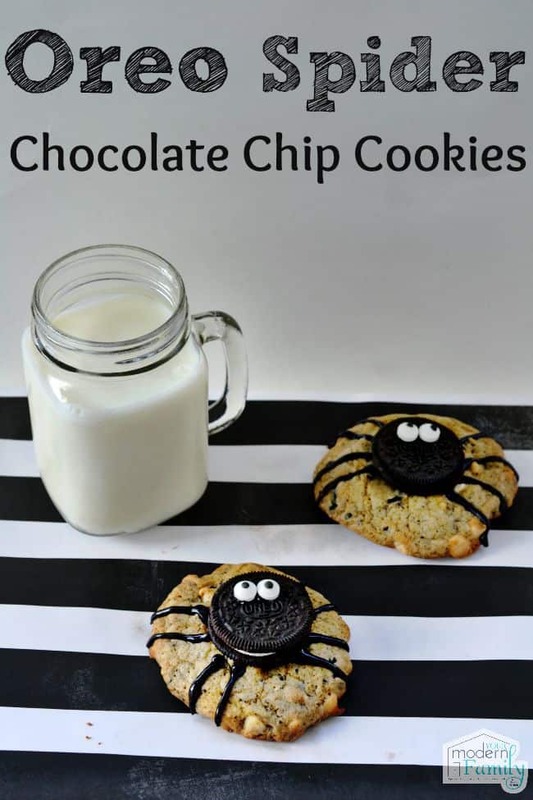 Such fun treats for a kid’s Halloween party!